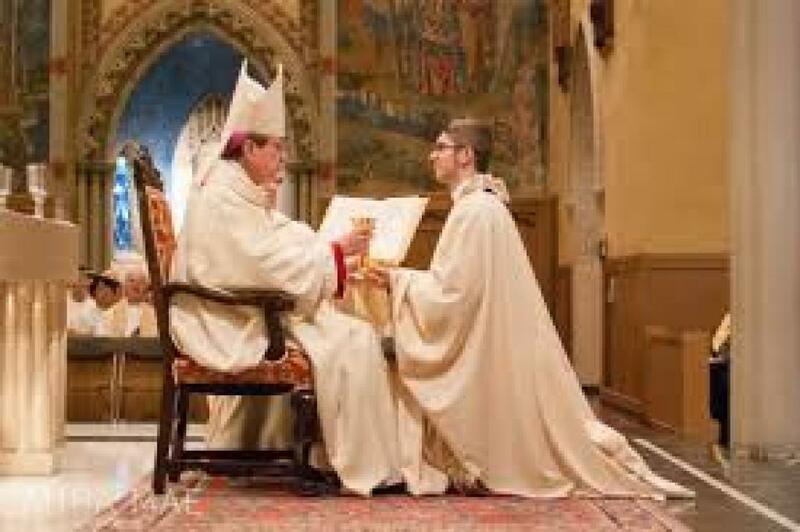 The Sacrament of Holy Orders is conferred by a bishop on candidates seeking ordained ministry for the Church. The Orders are: Deacon, Presbyter (Priest), and Bishop. We welcome men who are considering a call to serve others as a priest or permanent deacon. Deacon Bill Perkins was ordained in 2016 as a permanent deacon and assigned to St. Martin of Tours Parish. He and his wife, Michelle, and their family are active members of the parish. He assists at Sunday Mass and when requested preaches God's word, baptizes, witnesses marriages, and takes part in various ministries in the parish. Deacon could best explain the preparation process for those interested in becoming a Deacon. Fr. Dan Reed was ordained a transitional deacon in 1982 and a priest in June, 1984. He served as an Associate Pastor at St. Mary Parish in Wooster and then at St. Charles Parish in Parma. He then served in Akron as Pastor of St. Bernard and St. Mary Parishes before his assignment to Valley City in May, 2018. Father welcomes the opportunity to share his calling with those considering the priesthood. Please contact Fr. Dan or Deacon Bill for more information. You can also contact our Cleveland Diocesan Vocation Office directly. Click HERE Cleveland Vocation Website for more information on a rewarding and fulfilling life in Christ for others.